Have you ever noticed your pet chewing their paws, itching their belly or scratching their ears about the same time you are suffering from itchy watery eyes, a runny nose or bouts of sneezing? Just like people, our pets can have allergic reactions to pollens and molds in the environment. Have you ever noticed your pet chewing their paws, itching their belly or scratching their ears about the same time you are suffering from itchy watery eyes, a runny nose or bouts of sneezing? Just like people, our pets can have allergic reactions to pollens and molds in the environment. These pollens and molds come in differing amounts through the year and when they are present in higher amounts(something we see most often in spring and fall), they will cause an allergic reaction in those sensitive to them. These microscopic particles can cause our pets to suffer with similar sneezing or watery itchy eyes like us, but more commonly we see red, irritated (even grouchy) pets who keep us awake with their incessant scratching or chewing at their body. How can I help my pet through their seasonal allergy? Picture skin as a brick wall: Skin cells are the bricks, but what is the mortar holding it together? It is a special combination of lipids and proteins that prevent water loss and allergen penetration. Many animal allergy sufferers have a weak skin barrier allowing allergens like pollen to sink deeper beneath the skin. Good quality diets containing very digestible protein, high concentrations of fatty acids and blends of nutrients that have been designed to strengthen the skin barrier will help alleviate symptoms. Ideally these should be started 2-3 months before the known allergy season to have the best effect. Topical products that strengthen the barrier with added lipids. These can be started a month prior to the expected allergy season but will calm the skin of allergy sufferers when started during a flareup. Like blowing pepper into the face of someone suffering from hayfever, fleas are going to only worsen your pets suffering so make sure they have a flea preventative applied regularly. Inflammation often leads to secondary bacterial, yeast or mite infection of the skin or ears that worsen the itch further. Make sure your pet is seen by a veterinarian if there are any areas that look abnormal: bald patches, greasy coat, flaking, scabs or discharge. Wipe down your pets coat with a damp towel whenever they’ve been outside. The dampness will trap pollens like powder preventing them from adding to your pets itch. 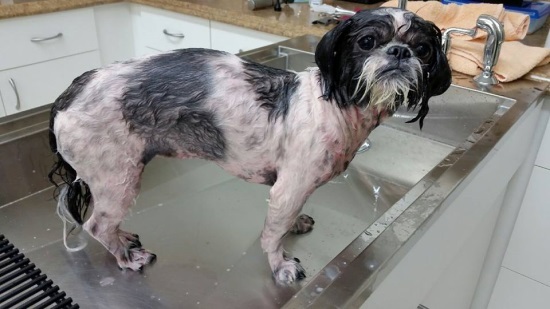 Bathing can wash off more pollens but should be done with special shampoos to not dry your pets skin. 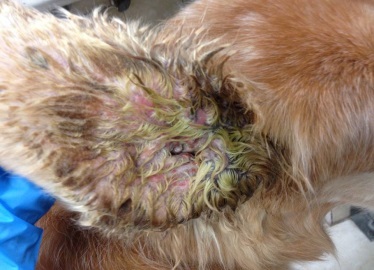 Some shampoos even strengthen the barrier layer further while others contain medication to calm the inflammation or redness on your pets skin. Cool water is best to reduce redness. Ask your veterinarian for a recommendation for your pet – not all pets are the same! 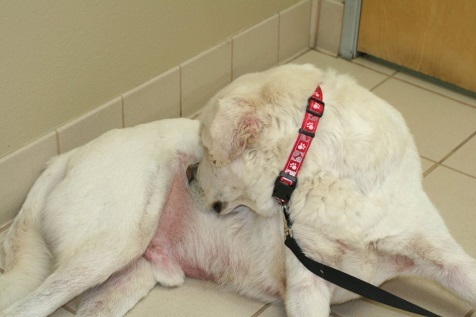 Steroids such as dexamethasone or prednisolone are sometimes your pet’s best friend. They are the most effective way of calming down the immune system. 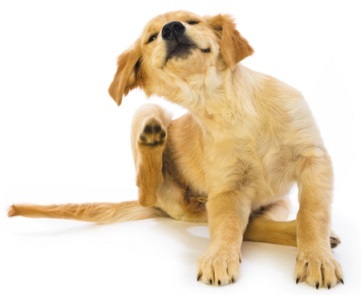 Used appropriately, your pet may have some side effects such as drinking and urinating more than usual, but they will experience profound relief from their itch. These medications are usually tapered down quickly so if there are any side effects, they won’t last long – but the relief from the itch will. Antihistamines prevent the release of histamines that cause your pets itchiness. They should only be used with the recommendation of a veterinarian. Depending on your pets conditions and the formulation or dosage, these can be ineffective or even dangerous. Although it may be convenient to vaccinate your pet since they are already coming in to be seen by a veterinarian, this is not best for your pet. This will only stimulate your pets already overactive immune system and can lead to the development of more allergies. Schedule your pets vaccination outside of their regular allergy season.